At Cole & Lambert, we value our people as our greatest asset. That’s why we provide continuing education and training for our employees, to keep them current in the concrete technology industry. The ability to service almost any range of concrete equipment within the industry is an essential aspect of our business. Cole & Lambert offers a multitude of concrete equipment repair and training services in Virginia, Maryland and the surrounding areas to keep your concrete business running. We offer rebuilding, remounting, boom inspections, equipment transport, equipment operation and safety training, and anything else you need. At Cole & Lambert, we offer quality service that you can rely on. If you have a large scale operation, we know it can be difficult to get all of your equipment to us for service. That’s not a problem, we can come to you. Schedule several inspections and repairs for one visit for maximum value and minimum downtime. If it is an emergency, our Pump Rescue service truck is on call. Everyone should follow a regular schedule for boom inspections. Your equipment is expensive, and a break down could negatively affect your company, or worse, injure one of your employees. It’s far cheaper to maintain and prevent than to fix or repair. C&L provides a complete, in-depth inspection to all parts of the structure. When you have Cole & Lambert repair your concrete pump, you can count on two things: Craftsmanship that meets or exceeds factory standards, and reliable and timely service. We know your business depends on these machines, and we know you can’t afford to have them down for long. We will fix your pump fast and right, so you can get it back where it belongs: working. 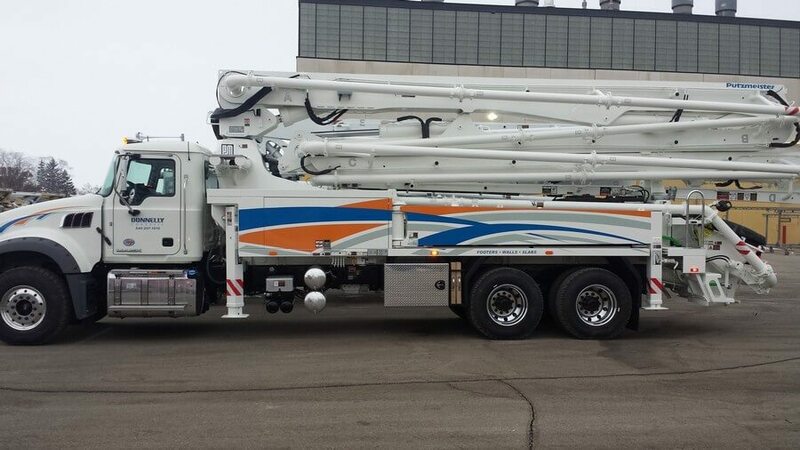 We can service and repair any part of any system on your concrete equipment including: structural, hydraulic, electrical, powertrain, as well as apply paint and decals in all of the correct locations.